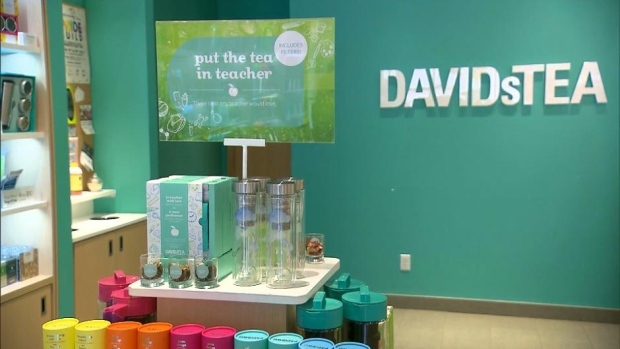 MONTREAL -- A battle is brewing at DavidsTea after the company's board of directors fought back against a co-founder's attempt to replace them with a dissident slate of nominees. The Montreal-based company said Thursday that Herschel Segal is trying to gain control of the board without paying a premium by pushing the election of seven nominees at its annual meeting June 14. DavidsTea's current board said Segal is the "the architect" of many of the company's current challenges. "Mr. Segal's assertion that his proposed control of the board would bring a new, objective vision for the company is disingenuous," it stated in a news release. "The operational and financial challenges Mr. Segal highlights in his recent press release all occurred under his watch." Segal, who was on the board until he resigned on March 5, controls 46 per cent of DavidsTea through Rainy Day Investments Ltd. He said he believes in DavidsTea and would build on its strengths as a well-known brand with a loyal customer base across Canada while addressing weaknesses such as U.S. operations. "By focusing on the right priorities, DavidsTea can aspire to a great future as an iconic Canadian brand," he stated in a Wednesday news release. The board said it is open to continued discussions with all shareholders, including Segal, to avoid a public proxy contest. Three sizable shareholders -- Porchlight Equity Management LLC, TDM Asset Management PTY Ltd. and Edgepoint Wealth Management Inc. -- that together own 36.5 per cent of DavidsTea have expressed concern over the proposed director nominees and RDI announcements. They said several of Segal's nominees do not appear to have appropriate qualifications and questioned the independence of the proposed slate. The nominees are Herschel Segal, who would become executive chairman, corporate director William Cleman, Viau Foods president Pat De Marco, retired professor Ludwig Max Fisher, former MEC chief executive Peter Robinson and Roland Walton, former president of Tim Hortons Canada. Segal has also nominated Le Chateau president Emilia Di Raddo, who is a member of the current board. Rainy Day Investments is the second-largest shareholder of Le Chateau Inc., after Jane Silverman Segal, Segal's wife. DavidsTea has been publicly traded since June 2015, when it listed on the Nasdaq stock market as part of an expansion plan. It has 240 tea shops across Canada and the United States. The company announced in December 2017 that its board was considering strategic alternatives such as a potential financing, refinancing or restructuring after posting poor results, especially in the United States. Rainy Day Investments said last month that it will won't proceed with its plans to take DavidsTea private and has no current plans to sell its shares. Shares of DavidsTea have plummeted from nearly US$30 in 2015 to just US$3.65, down 4.4 per cent in midday trading Thursday on the Nasdaq.